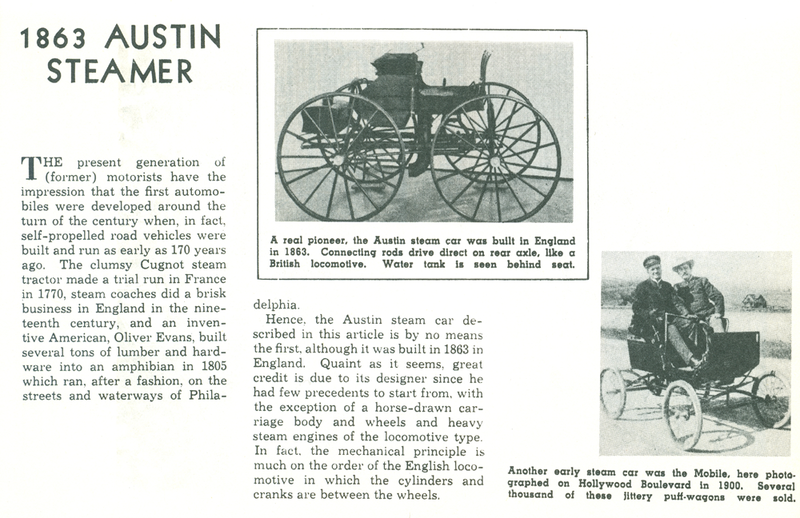 This article is found inFloyd Clymer's Steam Car Scrapbook, p. 31. As with almost all of the illustrations and material in his Scrapbook, (a extremely appropriate description) Clymer lists no source. 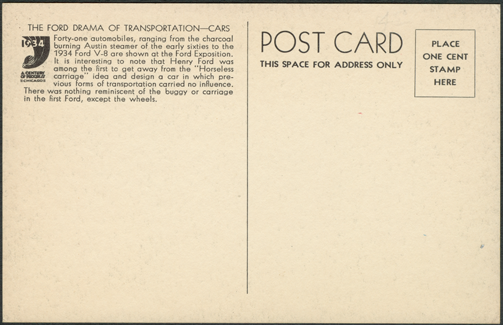 This 1934 Century of Progress postcard illustrates the 1861 Austin steam car in the upper left. 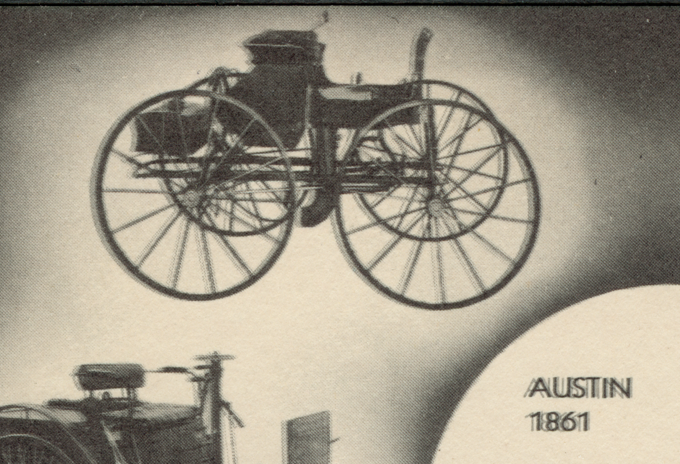 The reverse promotes the Ford Motor COmpany's V-8 at the Ford Exposition. 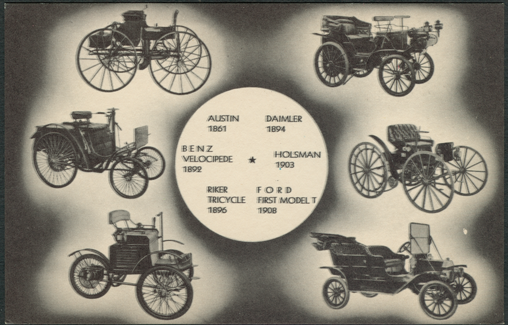 Floyd Clymer's Steam Car Scrapbook, 1945, Bonanza Books, Crown Publishers, Inc., p. 31.